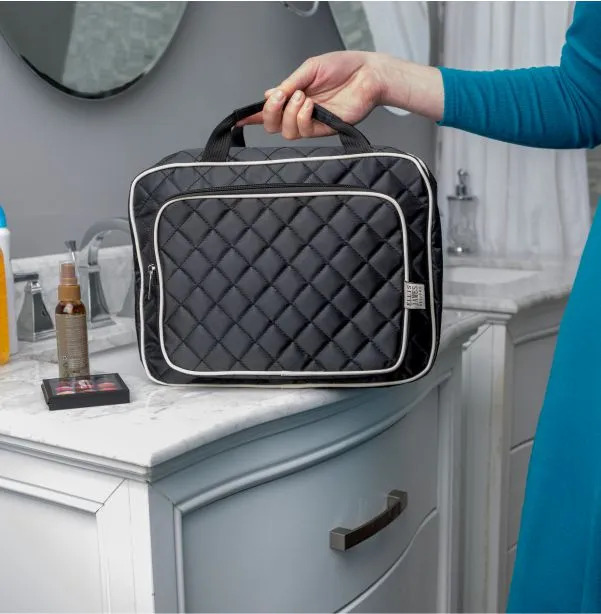 The Ellis James Designs Quilted Hanging Toiletry Organizer features 2 large zipped compartments with clear plastic tops that allow you to see all of your items, 1 smaller compartment, and exterior pocket and a detachable pouch. It’s the all-in-one hanging bag that always keeps it’s shape. Whether used at home, for travel or on vacation, you can truly make your bag yours! Store all your FULL-SIZED toiletries, makeup, cosmetics, hair tools, accessories and much more in our luxurious hanging travel organizer. This is a wonderful bag! It is perfect for travel and does everything they say it will do! They have made so much room in the perfect size travel bag. The interior pockets are large for your big bottles and are waterproof for any of those bottles that might leak on your trip. 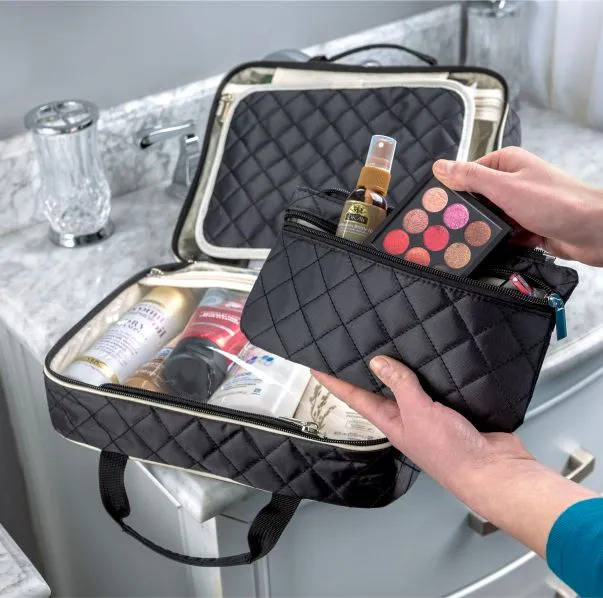 There is a small detachable makeup bag in the interior as well that is very convenient for those things that you might need for a quick fix! 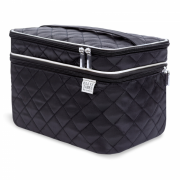 The bag is very sturdy with the same quilted strong material as their other bags. They have even added another exterior pocket for smaller things that I also loved. Overall, this is such a great value and will be the perfect bag to carry all of your toiletry needs. I will be using this in the Summer when I go to the Lake! 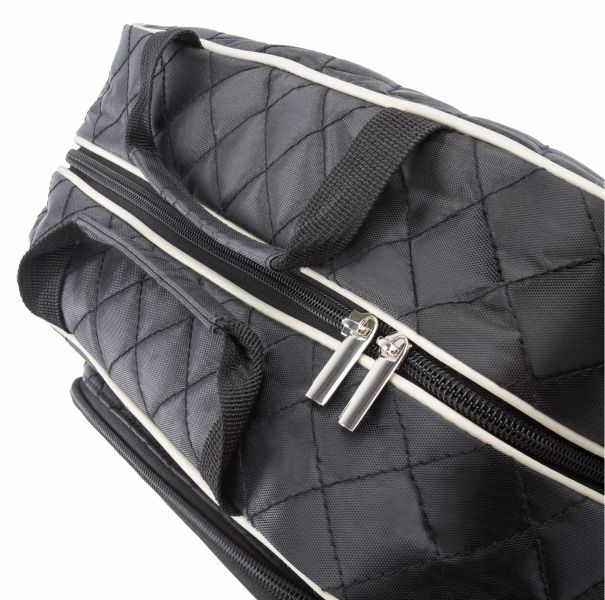 I have looked for ages for a skincare travel bag that fit all my needs! This exceeded them, and BONUS…it’s seriously so damn cute! I’m very happy with this purchase – and have already bought a couple of other matching items to go with it! This is the best toiletry bag! It is huge and fits EVERYTHING. seems to be great quality. Will be leaving in a week for my trip. I can’t believe how much fits in this! Great to have when traveling to a place where you cannot readily get the necessities. I really like this new bag that I got just for traveling! It fits all the shampoo bottles and conditioners. Which Is a problem for most travel size bags. I like all the zippers on it. Especially how one of the compartments detaches. 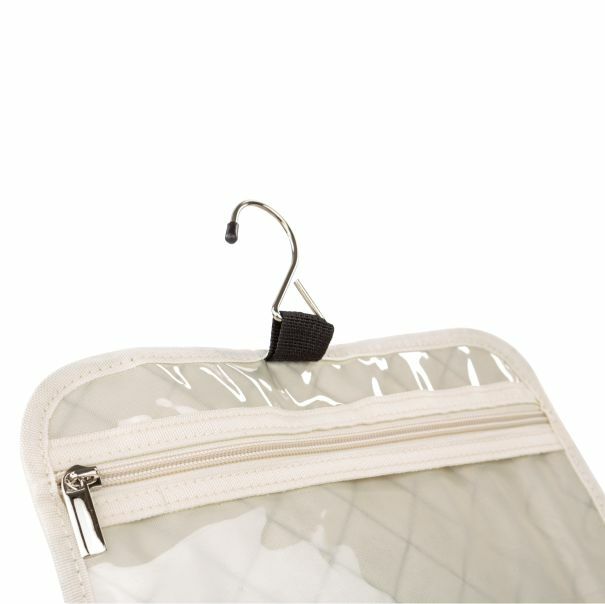 This toiletry hanging bag is made very well. There was lots of room. I was able to include way more things than my old toiletry bag. Yes! However, I am a little worried about the hanging hook. With all of my extra stuff, I’m not sure how long it will hold up. The bag was packaged nicely upon arrival. They took great care with their products! Very much appreciated! I love this bag for the first time ever I will be able to pack everything in one bag. My last trip it took 3 bags to get all my bathroom things packed and then I was constantly digging to remember which bag had what because non of them were clear. I love that full size product bottles fit in it so I don’t have to pack 2 of everything travel size for a week away. Can’t wait for my next trip!